When we’re forced to choose between our work and our well-being, too many entrepreneurs and executives willfully neglect their health — often prioritizing the company or career above all else. There’s no doubt that success demands sacrifice. At the same time, the concept of balance is totally overrated. But that doesn’t mean we should dig our own grave. In hopes of driving that fact home, through a series of Founderfit profiles, we’ll be exploring the healthy habits of world-class achievers and successful entrepreneurs. Today, we’ll look at how Casey Neistat manages to create more videos and run more miles than pretty much anyone. If you’re not familiar, Casey Neistat is a filmmaker, entrepreneur, and one of the most influential and recognizable creators on YouTube. After selling his start-up, Beme, to CNN for an estimated $20 million, Neistat recently announced his new company: 368, a creative/collaborative space for YouTubers, podcasters, and other content creators. If Neistat is known for anything, creating daily vlogs and running are both high atop that list. Casey is a runner. He runs pretty much everyday. If you watch any of his vlogs, you’ll probably see him pounding the pavement on the West Side Highway bike path. This has been his go-to running spot in New York City for years (when he’s not traveling). This approach — “do what you can, when you can” and ”be consistent, not perfect” — is incredibly useful for anyone who’s “too busy” to exercise. It’s also a powerful example of how showing up consistently and being “good enough” compound over time. Returning to this case study, let’s again take Neistat as example: his drive and consistency has led him to complete four IRONMAN triathlons, more than 20 marathons, and hundreds of shorter races. Yeah, that’s pretty intense — but that’s how Neistat likes it. While running has become an essential part of Neistat’s life, he didn’t get serious about running until his mid-20s. His motivation to get started actually stemmed from an unfortunate accident. When he was 25, Neistat was hit by a car while riding a Vespa, breaking his femur in 27 places. The bone had to be replaced with a titanium rod that was screwed directly into his hip. At the onset of the recovery process, the doctor told Casey he’d never be back to normal, never run, and forever live with the impact of the accident. Neistat was determined to prove the doctor wrong and succeeded in doing exactly that. 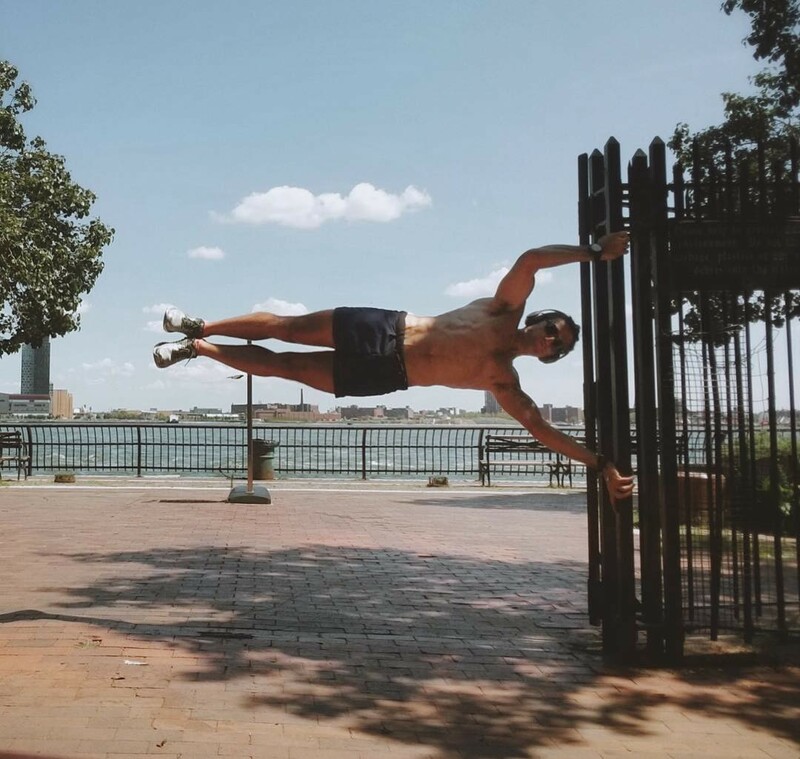 For Neistat, his healthy habits extend beyond running — he believes “Indulgence until the point of sabotage is completely unnecessary.” So, that means “no drugs, no smoking, minimal drinking and a healthy diet” go along with all the exercise he does. And when it comes to sleep, he rarely gets enough. But here’s how he justifies it: “This is a theory of mine… I think you can supplement sleep with exercise. Say you sleep eight hours a night. If you spent two of those hours exercising and slept six hours, you’d be less tired and in general feel better.” Yeah, Neistat’s sleep theory is definitely a personal opinion and not proven science, but it’s helped him manage periods with high workloads without breaking his running habit. Given the number of miles he logs, the amount of content he creates, and the trajectory of his career, it seems to be working for him. And that last statement is probably the most important takeaway: it’s working for him. If you’re trying to create healthy habits, you don’t have to copy Neistat’s approach. In fact, you shouldn’t even try. Instead, commit to figuring out what approach will work best for you. Being busy isn’t an excuse and neither is creating the perfect diet or workout routine. Make your health a priority — as best you can — Every. Single. Day. Quick question… How do you prioritize work, exercise, sleep, eating healthy, family, etc.? Leave a comment to let me know what you think of this article or recommend someone I should profile next. Co-founder & COO fitt.co, creator FounderFit, past co-founder Made in PGH (acquired). Health, happiness, and hard work. A common sense take on health and fitness for busy founders, executives, and entrepreneurs.